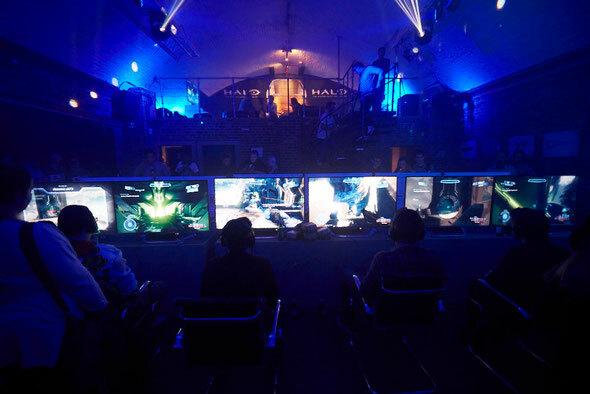 Head of Xbox, Phil Spencer, last night welcomed the worldwide arrival of Halo: The Master Chief Collection at a launch event in London. 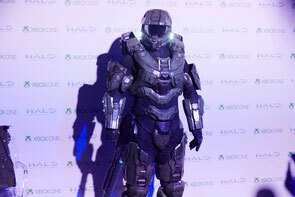 The Halo Nation came out in full force with apparently more than one million people around the world tuning in to live streams previewing the game’s content, with many lined up at more than 4,300 midnight madness retail events around the world to get their hands on the game. To celebrate the Master Chief’s long-awaited return, fans, media and YouTubers attended the UK launch in East London where they witnessed the UK premiere of the first two episodes of Halo: Nightfall, before four teams battled it out on Halo 2 in a Halo: The Master Chief Collection Anniversary Tournament – all streamed live on Twitch. The competition was closely fought, before Ali-A and his team narrowly secured victory in a finale on the Halo 2: Anniversary map, Lockdown. Halo: The Master Chief Collection is available worldwide now exclusively on Xbox One for £49.99. Halo: The Master Chief Collection also includes Halo: Nightfall, the live-action digital series from Ridley Scott, David Zucker and Sergio Mimica-Gezzan, as well as access to the Halo 5: Guardians Multiplayer Beta, launching 29 December.